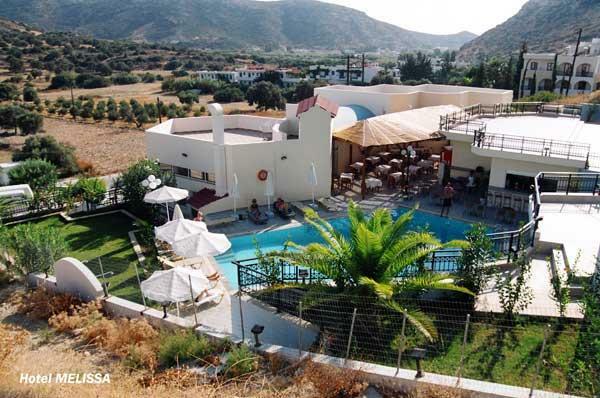 Hotel "Melissa" lies in the beautiful bay of Matala in a distance of 800m from the beach. Its spacious apartments are completely equipped (with air condition, telephone, TV, music, fridge) and have their own verandah. In the 3.500 sq.m. of surrounding area you will have enough room to park your car or take a nice walk in the gardens. In the hotel's restaurant you have the opportunity to have breakfast and dinner whereas there are two bars for your drinks. 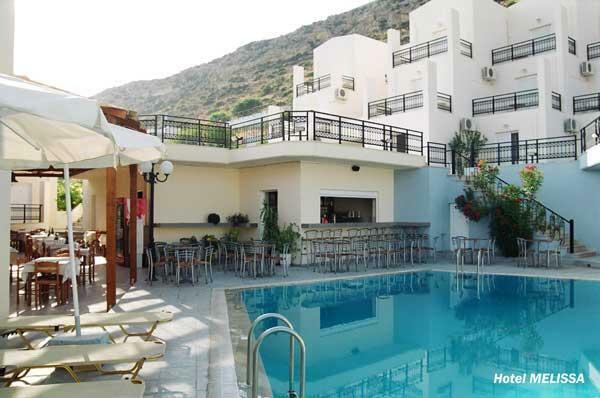 There are also two swimming pools - one for adults and one for children - and a tennis court.